Its time to review all the Bible lessons your first grader has learned over the past year! Solidify Bible stories and Christian principles in your student's mindand successfully prepare him for second grade. How? Just use the LIFEPAC 1st Grade Bible Unit 10 Worktext from Alpha Omega Publications! This full-color, step-by-step worktext is made especially for your young learner—and includes a comprehensive review of all the Bible principles learned in Units 1-9. Complete with Scripture-based material, this tenth and final first grade math worktext completes the LIFEPAC 1st Grade Bible curriculum. Review topics include God's creation, God's love for His children, the Old and New Testament, missionaries, and God's Son, our Savior! And there's more! The LIFEPAC 1st Grade Bible Unit 10 Worktext has bright, easy-to-follow lessons that include fill-in-the-blank questions, matching exercises, and Bible verse memorization (KJV). And unlike huge textbooks, this Alpha Omega curriculum will motivate your child to complete consumable lessons with its slender size. And your child will love that this homeschool worktext can be completed in three to four weeks! Here's the best part! This LIFEPAC worktext includes a full-year review and self tests to reinforce and solidify comprehension—plus one removable teacher-administered unit test. Everything you need is right here so don't wait any longer! 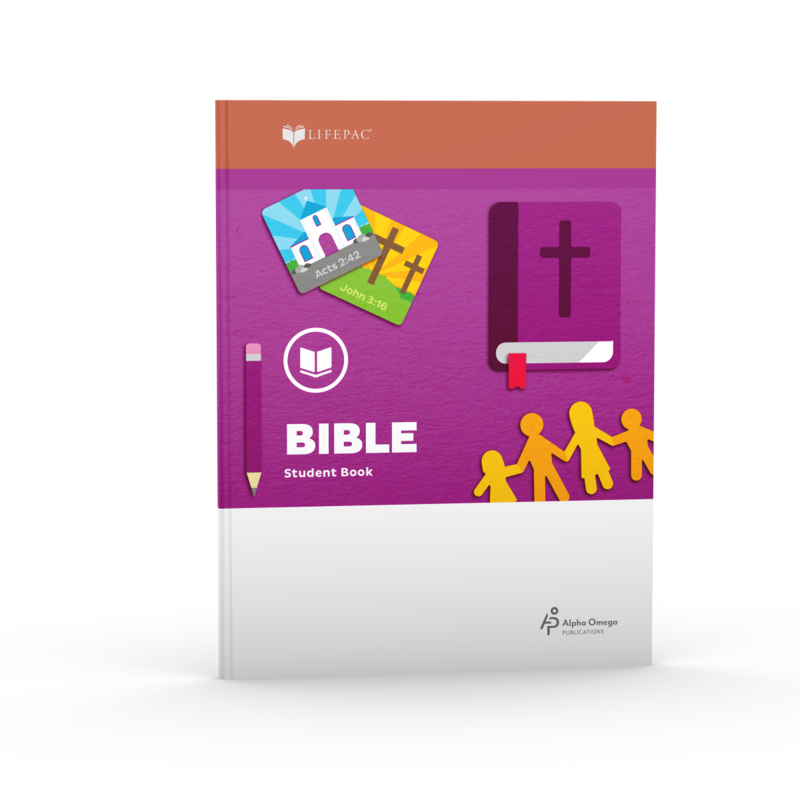 Order the best-selling LIFEPAC 1st Grade Bible Unit 10 Worktext for a solid review of first grade Bible lessons today! This worktext also works great as a refresher.